The below photo is one I took about 13 to 14 years ago. I was looking through my photographs and came across one of my favorite photographs of all time. 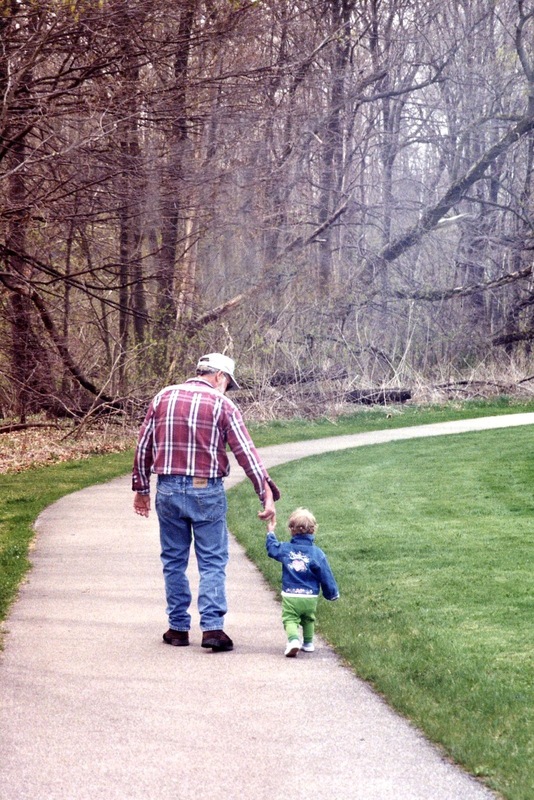 It is of my dad walking hand-in-hand with my little daughter when we were visiting Ohio. My daughter is now 14 years old and was probably about 18 months at the time. About one to two years later my dad died of cancer. He is missed everyday. I think of my dad often and know that he is watching over all of us. I look at this photo and always feel joy that he got to spend some time with his granddaughter. I think that he would have really enjoy my blog, he might not “get it,” but I think he would have made a quiet effort to peek at it often!